Freelance Jobs is one of the best way to earn money online doing Work from Home Jobs. This article covers Top Freelance Jobs Sites which are the platform between the Job seekers and Job providers from all over the world. Freelancing is one of the best ways to earn money online. If you have some time and have skills in any field, then these top freelance jobs sites provide you relevant jobs in your field. Let’s discuss about these freelance jobs sites and which are the most used Jobs sites in relevant fields. Given below are some of the 10 top freelance jobs sites which are listed based on popularity, user usage and opportunities that are available for various fields. 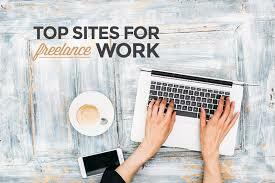 Freelancer has grown leaps and bounds as the top Freelance Jobs site in web. With is one of the leading freelance jobs sites in Internet. With millions of jobs from hundreds of categories, advertisers and freelancers can get lots of freelance jobs in this site. Freelancer is free to join. With over million users, there are ample number of opportunities in various fields. When we saw last update, there were around 23,485,277 registered users in Freelancer and it keeps on growing. There are different payment modes and most prominent one is through Paypal which is used internationally. There is a very good feedback on freelancer processing of money. Gold members get more chances to bid and are placed above free members. Less commissions as well. Take gold membership only after settling or if you are team of people doing freelancing. This helps in getting more bids and also more projects. As said in various articles, it is very important to have good credibility as a job seeker and also as job provider. Get good reviews from advertisers and you can earn 100$ from freelancing easily through freelancer. In recent year, Freelancer acquired LimeExchange, EUfreelance to gain superiority in freelance jobs sites. TopTal is one of the latest and fastest growing freelance jobs sites in web. Toptal accepts top 3% from engineering, design and top categories. Screening is tough. But once got through their tougher screening process, it is one of the best freelance job sites to earn. Rentacoder is one of the top freelance jobs sites for programmers and web designers. They pay freelancers either for particular hourly rates or complete projects. You can add your profile and get interviewed by clients before selecting website. Build a good profile with rentacoder. This helps in getting more chances of getting freelance job. Also better reviews helps in more projects. If you are at initial stage, mention your hourly price appropriately. Upwork (ODesk) is another oldest freelance jobs site in Internet which has millions of freelancers registered in all parts of the world. Upwork provides freelancers to directly communicate with clients before accepting project. Projects are hourly based and also based on completion. Upwork accepts Visa, MasterCard and American Express credit cards. Now also accepts PayPal,MoneyBookers and Payoneer Master Cards. 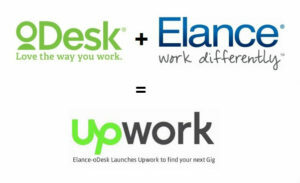 After merge of ODesk, elance, Upwork is now having good competition in terms of finding new projects and new advertisers. Scriptlance is another top freelance jobs sites for programmers and developers. Also some writing jobs are available in scriptlance but most of them are for freelance programmers. Guru is another biggest freelancing site, with more than 1,00,000+ freelancers, Guru boasts of patent pending rating system which provides proper rating. It also boasts of escrow integration which is obviously an added for both providors and jobposters. This site also has both free and premium membership based on categories of work which you’re willing to do. This is also one of the place you must try. FreelanceSwitch is a new site, but nevertheless its one of the most favored site by the job posters. If you have the top notch knowledge to compete with the some of best developers and designers in the world it here. The place is guaranteed to give you good payments for your hardwork. Top Freelance Jobs sitesFreelanceSwitch is a new site, but nevertheless its one of the most favored site by the job posters. If you have the top notch knowledge to compete with the some of best developers and designers in the world it here. The place is guaranteed to give you good payments for your hardwork. 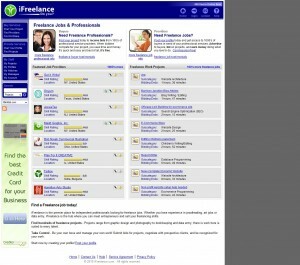 iFreelance is another top freelance job sites that is competing with top freelance jobs sites. One of the best for beginners and freelance newbies. We have tried to list down all the famous Freelance Jobs sites here, but with new websites coming up, there may be chances we might have missed some. Join us in getting more information about Top Freelance Jobs sites in web by getting information on Freelance and WorkFromHome Jobs through our news letter below. It is absolutely free for you.